Live music is a passion and a way of life. WashedUp is a seasoned guitarist and vocalist with 30 plus years of real life experience. Now performing in Second Life, you will find most songs played will include lead guitar solos. His Second Life performances are in a variety of styles from rock classics to blues, a few ballads and some lite jazz. Don’t just take my word for it..come have a listen for yourself. 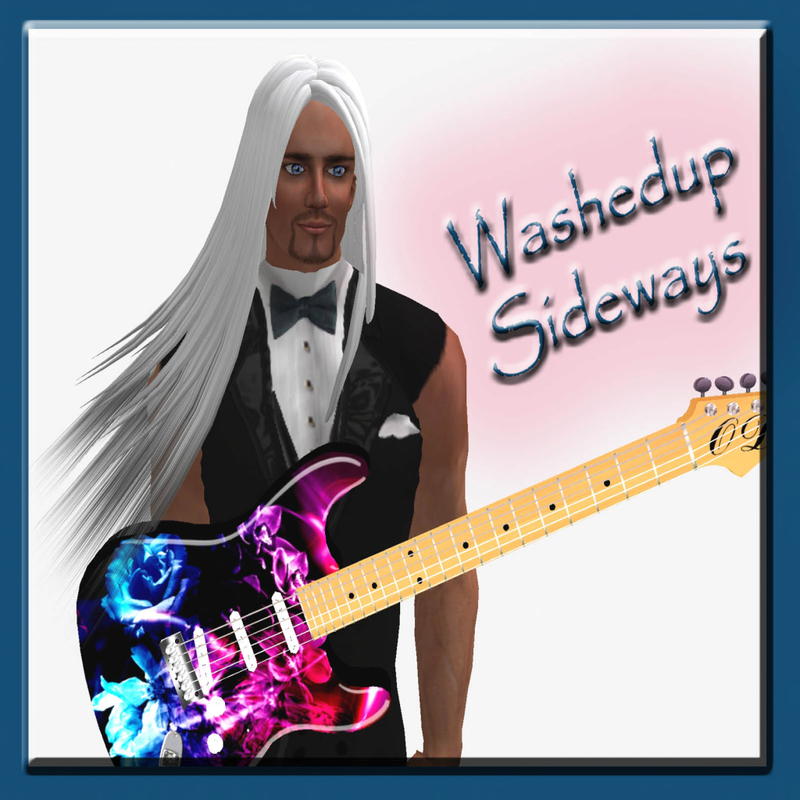 Washedup will wash you away with his **Wonderfully Unique Voice**, and **Soulful Guitar**. He has played in real life with the recent Second Life phenomenon Clairede Dirval, and now with her in-world, both doing split shows, and together via relay streaming. *Available* to play with other SL musicians using this method. Additionally WashedUp offers a spectacular recording service. For those of you who would like a show recorded as mp3s, and emailed to you for your own listening enjoyment or to share with others.